Beatrice Joan Olson, 83, of Paw Paw, MI and formerly of Grand Junction and South Haven, passed away on Sunday, December 2, 2018, at home surrounded by her loving family. She was born on December 5, 1934, the daughter of Rex and Hazel (Goodrich) Empson. Bea graduated from South Haven Central High School. After high school she married her husband, Theodore Edwin Olson on December 26, 1955. She worked for Michigan Fruit Cannery, South Haven Rubber Company, and several retail stores before her retirement in 1996. 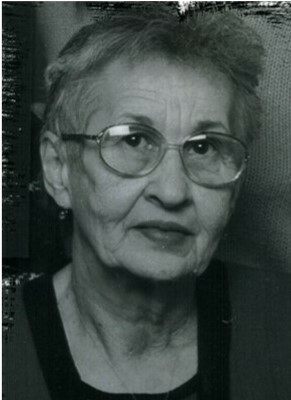 She was a member of the South Haven Auxiliary Police and a proud member of the NRA. Beatrice is survived by her three Children, Jessie (Tabitha) Olson, Glenn (Julia) Olson, and Erik Olson; 12 Grandchildren, Lindy Gooding, Jerrod Olson, Nissa Olson, Timothy Olson, Michale Ockerman, Brenda Ockerman, Anthony Ockerman, Rachel Felty, Amber Felty, Martin Schau III, Andrew Olson, and Livia Olson; 12 Great-Grandchildren, and a host of other loving family and friends. She was preceded in death by her parents and her loving husband, Theodore Olson in 2006. Beatrice was an amazing woman, mother, and grandmother. Her family was her entire world and she never missed any of her children’s or grandchildren’s sporting events. She was very passionate about the family history; She would spend hours documenting the lives and cemeteries of the family before her and organizing it so that future generations know where they come from. Bea enjoyed being creative and crafty. She loved to paint and sew for everyone. Bea also had a deep love for all animals. Her heart was huge and she will be missed dearly by all those she leaves behind. A graveside service will be held at Fort Custer National Cemetery, 15501 Dickman Road, on Thursday, December 6, 2018, at 2:00 p.m. with Pastor Craig Massey officiating. Memorial contributions may be made out to Reverence Hospice.